With sincere intentions to preserve and uplift our reputation in the market, we bring forth a distinguished assortment of UPVC (Unplasticized Poly Vinyl Chloride) Pipe with utmost quality. Our offered pipe is precisely manufactured using premium quality unplasticized poly vinyl chloride and cutting edge technology in line with industry defined quality standards. 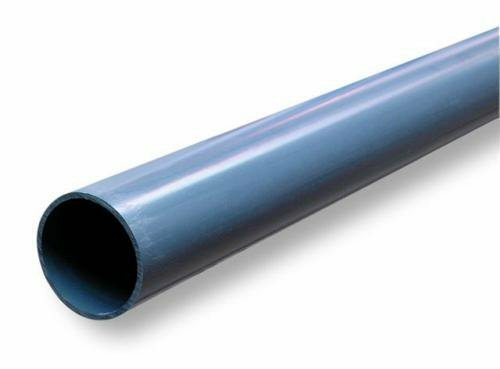 Rigorously checked against various quality parameters, the offered pipe has become the prior choice of our clients for various water transferring applications. Established in the year 2007, we “Pump Flow Technologies” are ISO 9001: 2008 CDG certified manufacturer and supplier of world class Air Operated Diaphragm Pumps, Pipes, Pipe Fittings and Pipe Valves. These pumps and fittings are precisely designed from well tested raw material and the sophisticated technology by our veteran professionals. Find extensive usage in numerous industries, these pumps are well known among our clients due to their precise design, easy installation, noiseless functioning, long working life and low maintenance cost. At the same time, our provided fitting, pipes and valves are broadly used at construction sites, chemical, pharmaceutical and many more industries. As per the variegated needs of the clients, we provide all our products in customized options. Being a quality driven company, we assure our clients that all our products are strictly tested against several parameters by our quality experts. Our prestigious clients can avail these products from us in bulk quantity and at genuine rates.